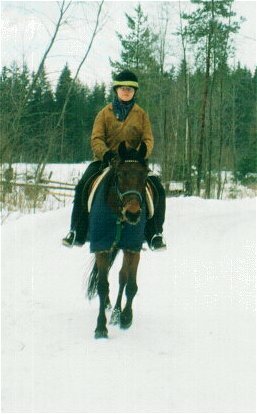 Nekku and I, winter 1999. 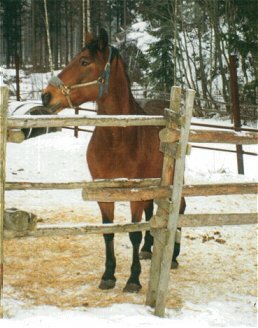 Nekku in the Hausjärvi Stable. 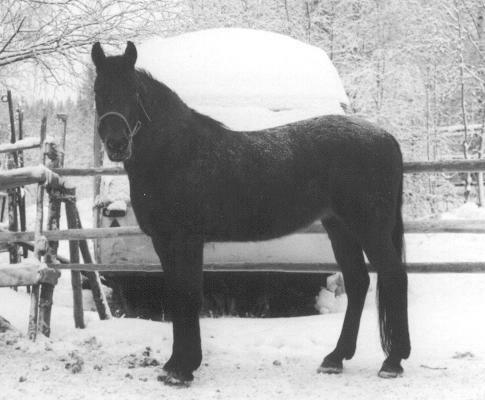 Nevele Bunter, the first horse I ever drove... Or actually Nekku took me for a ride. I just hung on! 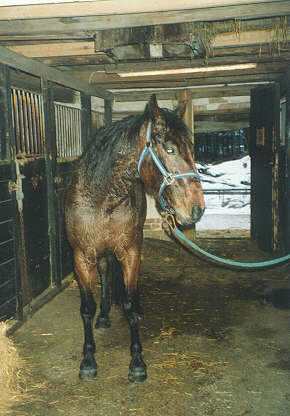 Nekku lives in Hausjärvi, so I haven't seen him since February 1999. 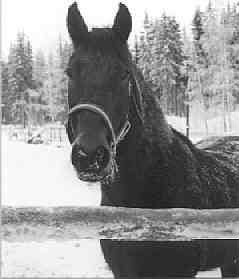 I drove Nekku a few times, rode him too, fed him etc sometimes. This ribbon shows I'm against horse slaughter. I just lost my friend Nekku. 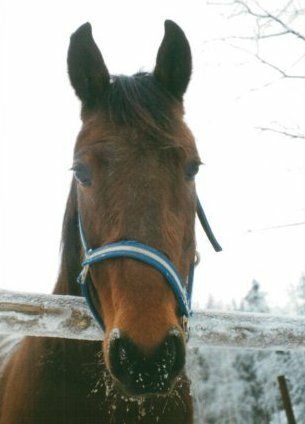 Nekku was put down in autumn 1999.I Miss him too.He was sired by Nevele Express.